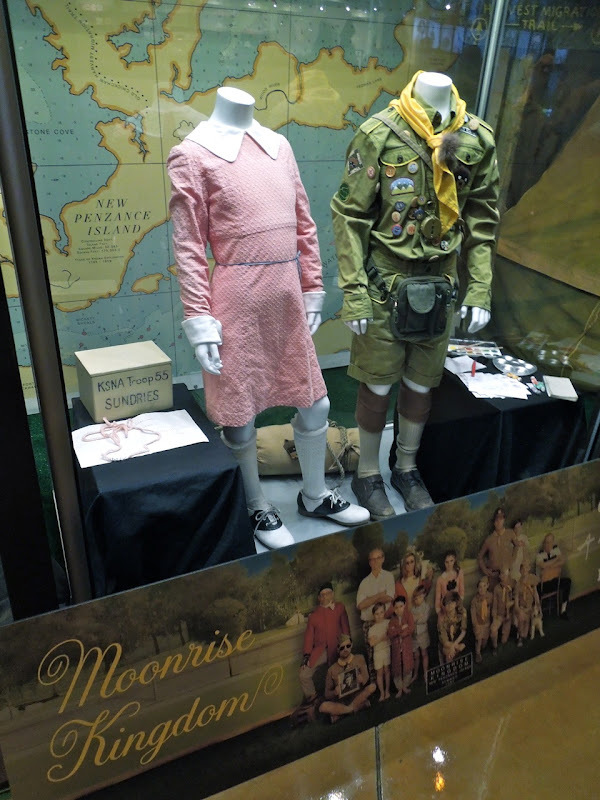 In Wes Anderson's new movie Moonrise Kingdom, a pair of young lovers run away from their New England island town in 1965 prompting a local search party led by the town's Sheriff, Scout Master and the girl's parents, The Bishops, to fan out and find them. 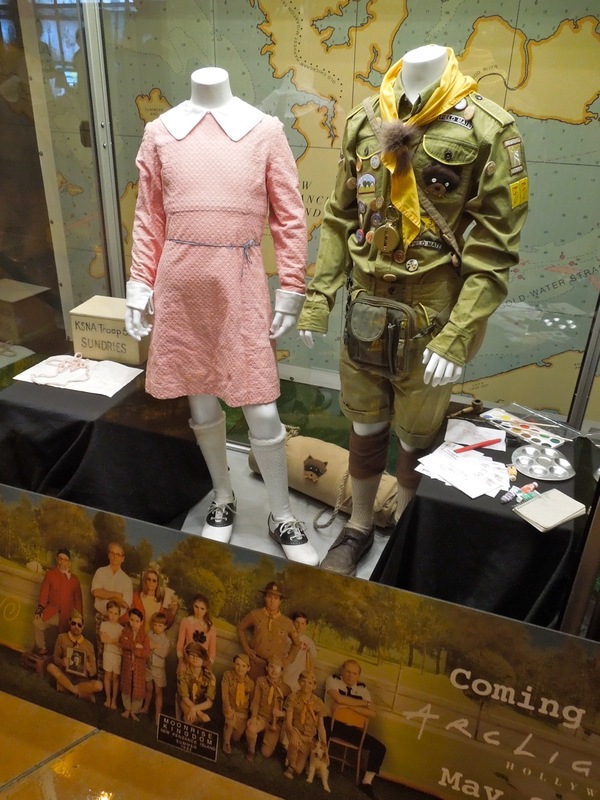 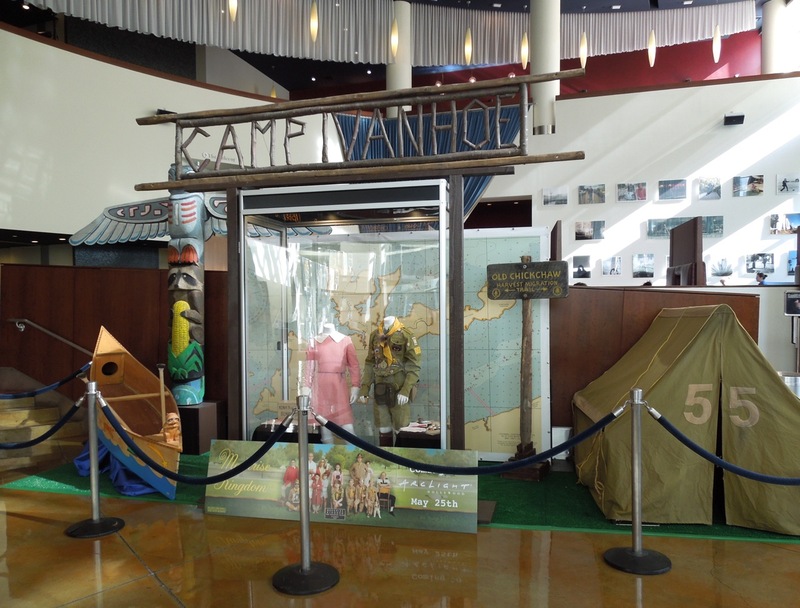 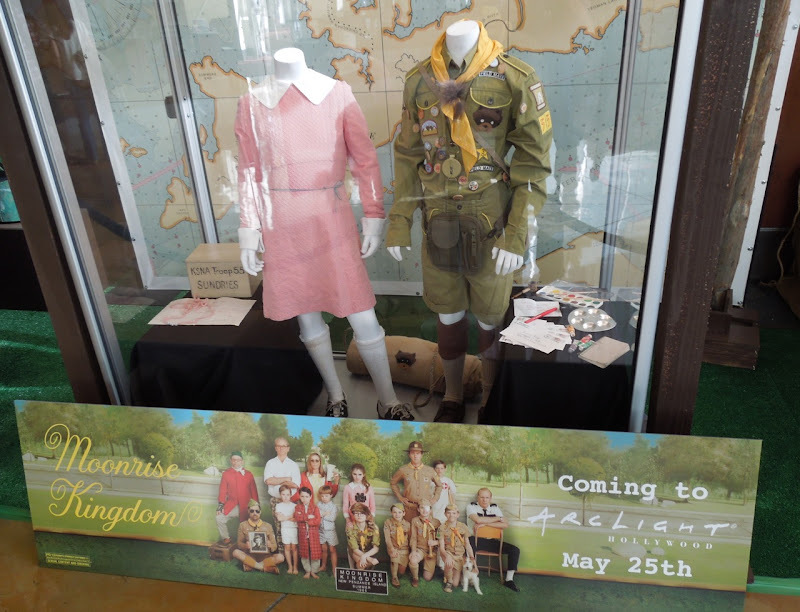 This pink dress and boy scout costume worn by the young runaways, played by Kara Hayward ('Suzy Bishop') and Jared Gilman ('Sam Shakusky') respectively, plus props featured in the movie, were on display in ArcLight Hollywood's cinema foyer on May 26, 2012. 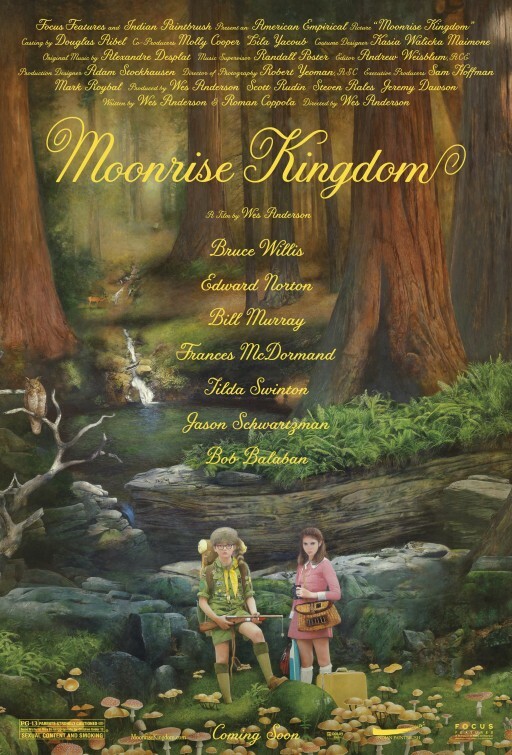 Kasia Walicka-Maimone is Costume Designer on this rom-com drama.